Go Los Angeles Card Review 2019: Is It a Good Deal? Who Should Buy the Go Los Angeles Card? Who Should Skip the Go Los Angeles Card? Bottom Line: Is the Go Los Angeles Card a Good Deal? The Go Los Angeles Card includes entry to 36 of LA's top attractions. In this review, we'll explain how it works and determine if it's a good deal for you. FLASH SALE: Save up to 15% OFF the Go Los Angeles Card! Sale ends Wednesday, April 17th, 2019. Follow the link for details. 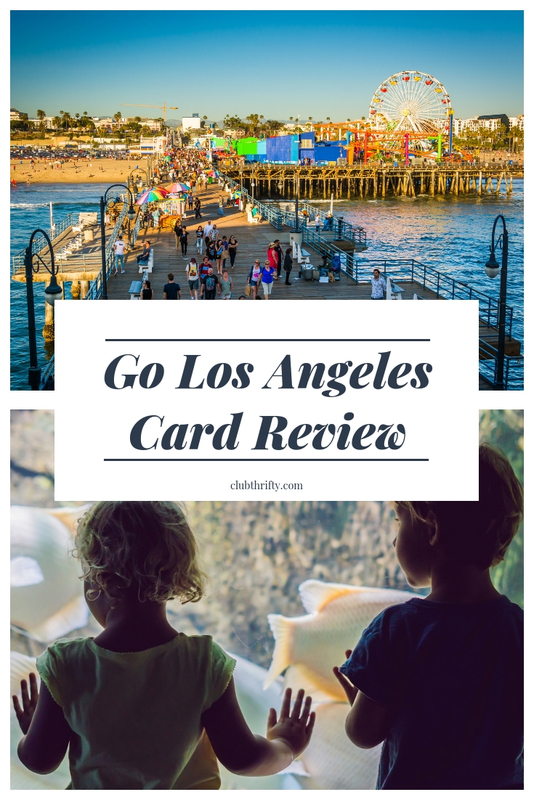 In this Go Los Angeles Card review, we’ll explain how the sightseeing pass works, discuss which attractions are included, and determine if it is a good deal for you. Enjoy! Heading to the City of Angels? 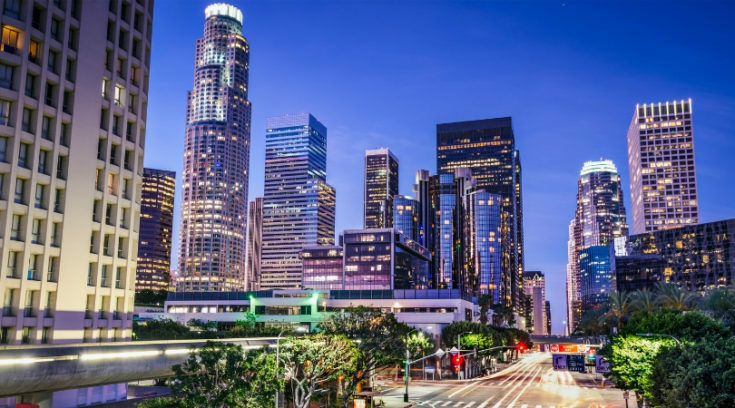 Los Angeles is the second most populous city in the U.S., which means there’s no shortage of exciting things to do in LA. 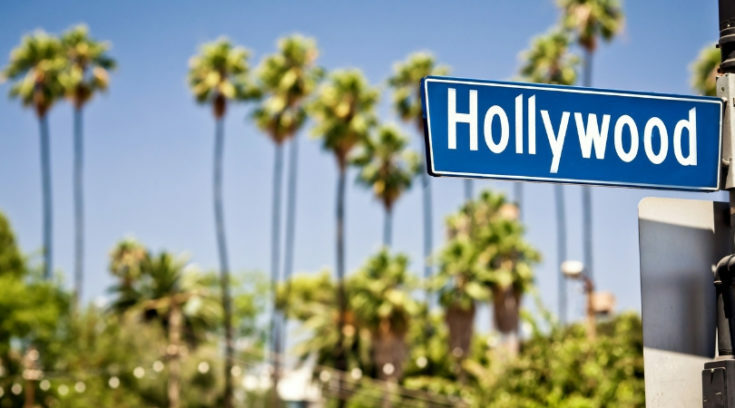 Since Los Angeles is the film capital of the world, going there means you’ll be near iconic attractions like Universal and Warner Bros Studios. In fact, you can hardly go anywhere in LA without being bombarded by enticing movie-related tours and activities – especially when you’re near the Hollywood area. 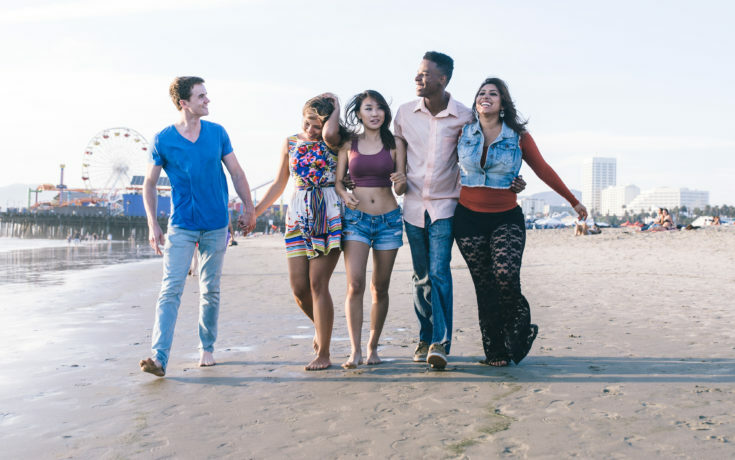 If you’re interested in taking tours, visiting theme parks, and enjoying the full tourist experience in LA, prepare yourself to spend some serious cash. With all the glitz and glam of Hollywood, it goes without saying that Los Angeles isn’t exactly a cheap place to travel. Luckily, there are sightseeing passes that can help you save big on your next vacation. For a trip to Southern California, the Go Los Angeles Card is one option that might be a good fit. Let’s take a look at how it works and what it has to offer. 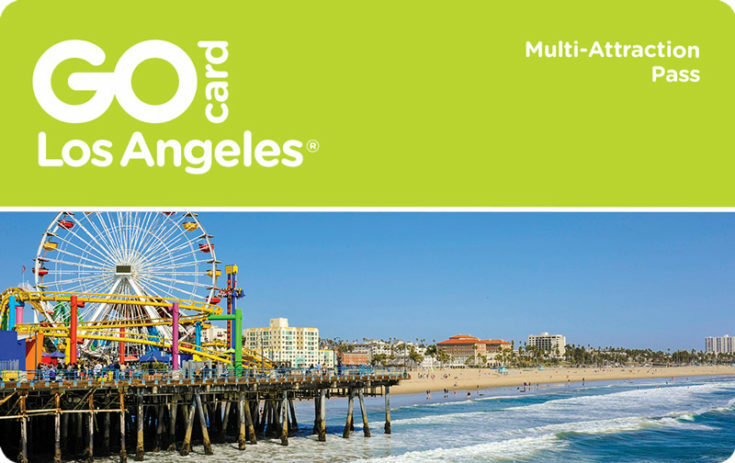 The Go Los Angeles Card is a sightseeing pass that provides unlimited access to 36 of the top destinations in LA. The all-inclusive pass works on a calendar-day basis, offering pass lengths between 1 and 7 days. It differs from a consecutive day card like the Paris Pass, however, as you actually have 2 full weeks to use the number of days you select. So, if you choose a 3 day pass, you can use your pass on any 3 days during the next 2 weeks! You’ll pay a fixed price for the pass of your choice, and the rest is up to you. If you’re smart about it, the pass can help you save up to 50% on the cost of admission to LA’s top sites! Buying the Go Los Angeles Card couldn’t be easier. It’s a quick online purchase, and you immediately receive your pass via email. 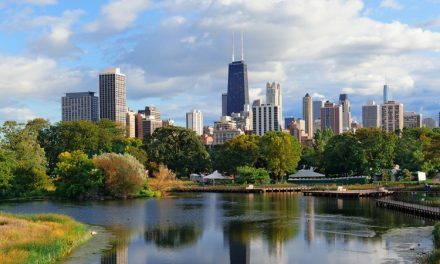 Like with the Go Chicago Card, you can download the free Go City App and use the pass on your mobile phone; or, you can print it at home if you prefer a paper copy. Once you purchase your pass, you have a year to activate it. So, how do you activate it? Just visit your first attraction and present your pass – that’s it! Your pass is then valid for the number of days you selected, and you have two weeks to use all of the “days.” Again, these are calendar days, not a 24-hour period. Also, keep in mind that you can only use the pass to enter attractions until 5:30 pm. So, to get the most out of your first day, be sure to activate your pass early in the morning! As you can see from some of those prices, a vacation to Los Angeles can get expensive fast! Luckily, the Go Los Angeles Card offers some fabulous savings. So, just how much will one of these bad boys set you back? Take a look below. Now that you’ve seen how the regular prices for admission compare to the cost of the pass, it’s easy to understand how the Go Los Angeles Card can nab you some serious savings. First, let’s talk about the inclusion of Universal Studios. Entry fees at the gate for this attraction are a whopping $139. However, it’s only included on the 3, 5, and 7 day pass options. That means if you buy the 3 day pass for $264 and spend a full day at Universal, you still get two full days of unlimited sightseeing for just $125. That’s $60 a day. So, if you’re able to do 2 or 3 attractions a day, $60 is a steal! If you buy the 5 day pass and spend a full day at Universal, you get 4 days of sightseeing for $203, or $50.75 per day. If you’re in town for a week or more and opt for the 7 day pass, you can do a full day at Universal and then have six days of unlimited sightseeing at $47.50 per day. Obviously, the 7 day pass is the best value…but only if you’ll use it. Not everyone wants to pack in seven days of sightseeing, plus, the 3 and 5 day passes are still a great deal – with the 3 day pass being the most popular option of all. If you aren’t interested in visiting Universal, the 1 and 2 day passes are still fine. With that said, these passes don’t provide the same level of savings you get with the longer options. 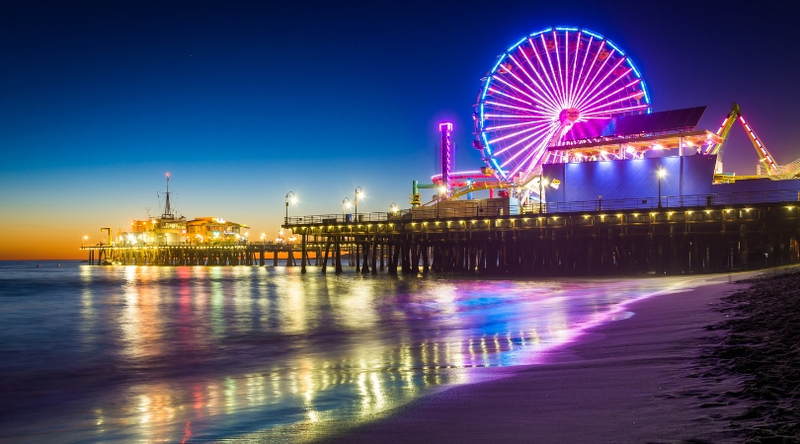 Save Up to 50% in LA – Save as much as 50% on the cost of admission to the best attractions in Los Angeles! Get your Go Los Angeles Card here. The #1 reason to get the Go Los Angeles Card is to save money on sightseeing. By using the pass strategically, it’s easy to bank some serious savings – like up to 50% off the cost of admission prices! The Los Angeles Go Card offers six theme park options – choose your jam or visit them all! If you’re interested in visiting Universal Studios during your trip to LA (and you should be! ), having it included with the Go Los Angeles Card (3, 5, and 7 day options) all but guarantees savings. Like I outlined above, regular adult admission costs $139, so using your pass to cover it is a no-brainer. The general admission ticket includes access to the theme park and the studio tour, so the whole family can easily spend at least a half day there. 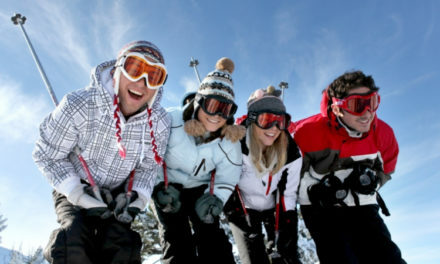 Inclusion of such an expensive attraction is rare in a sightseeing pass and definitely something to take advantage of! Six Flags Magic Mountain is an even bigger park than Universal and caters to thrill seekers. If you’re after the steepest, fastest roller coasters, you’ll definitely want to check it out. Regular adult admission is $89.99, so using your pass to cover your ticket provides excellent value. Knott’s Berry Farm is California’s first theme park and offers intense thrills for the brave of heart…as well as some more leisurely rides for those who aren’t so brave. If you’re looking for somewhere a bit less intense to bring the kids, Legoland is a great option. You’ll pay $110.99 to get in as an adult, and $104.99 for your kids, so using the pass can definitely save you some green. Looking to cool down on a hot day? Knott’s Soak City Water Park might be more your speed. Pacific Park is another family-friendly option with some great ocean views. Either way, there’s something for anyone who likes a day of rides and games. If you’re considering a sightseeing pass for LA, chances are good that you might be a little bit interested in the whole Hollywood thing. If so, the Go Los Angeles Card includes some tours that will likely appeal to you. There’s the Studio Tour at Universal, the Warner Bros. Studio Tour, the Sony Pictures Studio Tour, Hollywood Movie Star Homes Tour, and more. It’s basically heaven for a movie buff. You’ve also got the Hop-on Hop-off Los Angeles Bus Tour. I usually recommend these bus tours to anyone visiting a city for the first time. They’re a pretty good way to see and learn about a new city while catching a ride between attractions. The regular cost is $55, so – while not the most expensive option on the menu – it’s far from the cheapest. If you take the bus tour and visit a couple of other attractions the same day, you’ll be looking at pretty significant savings. Most unlimited sightseeing passes, like the New York Pass, are valid only for a string of consecutive calendar days. That can be restricting for travelers who are happy to visit two or three attractions in one day but don’t necessarily want to do it for several days in a row. The Go Los Angeles Card is different in that it offers unlimited access to attractions for a set number of days during a two-week period. That’s a game changer! With this pass, you have the flexibility to spend an entire day sightseeing, then, take the next day or two off before going at it again. I love that! Skip the Line – Waiting in ticket lines is a drain on your precious vacation time. Luckily, the Go Los Angeles Card lets you skip the line at some of LA’s hottest attractions. This includes Universal, Six Flags, San Diego Zoo, and more. Electronic and Paper Options – You can choose how you use your Go Los Angeles Card. Smartphone users can keep the pass on their phones using the Go City App, and people who prefer a hard copy can print the pass. Visit LA for Less! – Looking for ways to save money in Los Angeles? The Go Los Angeles can help you save up to 50% off the price of admission at 36 of LA’s best attractions! Learn more here. Before you buy the Go Los Angeles Card, make sure you understand the limitations. The biggest one worth noting is that you can only enter each attraction until 5:30 pm each day. A surprising number of attractions close by 6 pm, so this isn’t a big deal in most cases. However, Six Flags Magic Mountain is open late on weekends – until 1 am Friday and Saturday and until 11 pm on Sunday. Once you’re in, you’re in….so, as long as you arrive before 5:30, you can stay until close. But, if you show up at 6 pm on a Saturday evening and plan to ride until close, you’ll be disappointed. Similarly, if you planned to take in a night view of the city from high in the sky at OUE Skyspace, that’s not an option. So, be sure to take this into account when planning your itinerary. Additionally, while the Go Los Angeles Card has 36 attractions from which to choose, it offers a lot of the same type of experiences. It’s a dream come true for theme park junkies and movie buffs. There are also a few good options for animal lovers (the zoo, whale watching, several aquariums). However, if you’re not into those types of things, you probably won’t get a ton of value from this pass. Theme Park Junkies – If you love theme parks, the Go Los Angeles Card will be your best friend. You’ve got six options to choose from (even if Legoland is really for the kids), or you can visit them all. Even if you just visit Universal or Six Flags, you’ll be looking at substantial savings. Movie Lovers – If you love all things film, you’ll love all the studio and theatre tours included with the Go Los Angeles Card. 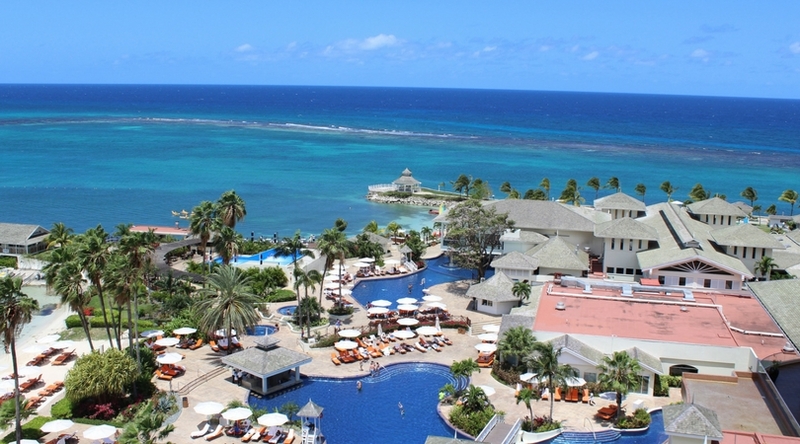 Families – There are enough kid-friendly activities included with the pass to keep the entire family entertained. Legoland, Universal, Pacific Park, and several aquariums/zoos appeal to both kids and adults. First timers – If it’s your first trip to LA, you’ll probably want to check out a bunch of these attractions anyway. When you buy the Go Los Angeles Card here, you’ll save a bundle over paying individual admission prices at each spot. Travelers Not Interested in Theme Parks or Film – This pass is packed with attractions that are either film-related or theme parks. If you’re not interested in either, this pass isn’t going to appeal to you nor will it save you money. Late Risers – Remember, you can only enter attractions with your Go Los Angeles Card until 5:30 pm. That’s not a big deal for early risers, but if you’re the type who doesn’t get going until lunchtime, you might find it hard to get your money’s worth from this pass. Travelers Who Won’t Visit Multiple Attractions Per Day – Unlimited sightseeing passes work best when you visit two (or more) attractions per day. While some of theme park options provide exceptional value, for those not visiting the parks, you’ll need to visit two or three attractions per day to get your money’s worth. Go to Universal – If you buy the 3, 5, or 7 day pass, be sure to visit Universal to get maximum value from your card. It’s the most expensive attraction on the list, plus it’s super cool. Use the Pass for the Most Expensive Attractions – If you look at the list of included attractions, you’ll see they range in cost from $5 to $139. There are quite a few options coming in at more than $50. Try to use the pass for those. You won’t save money by visiting the $5 and $15 attractions alone. Get Started Early – Like I mentioned before, after 5:30 pm, you can’t enter any attractions using the Go Los Angeles Card. Even if that weren’t true, it still makes sense to get up early and cram as much into the day as you can. The more attractions you visit each day, the more you’ll save. Visit Multiple Attractions Per Day – I can’t say it enough: The more you do, the more you’ll save. If you want to get the most value from your card, try and visit two or more attractions per day. Get the 3 Day Pass (or Longer) – The 1 and 2 day passes can still help you save money, but you’ll get a lot more value from the 3, 5, and 7 day passes. The longer passes include Universal, which is a big draw. For reference, the 3 day pass is the most popular Go Los Angeles Card option. Buying the Go Los Angeles Card is a breeze. In fact, you can grab it online right now. Buy your Go Los Angeles Card here. After that, you’ll get an email with a link to download your pass. You can use the pass on your phone with the free Go City App, or you can print off a paper copy – your choice. Is the Go Los Angeles Card worth it? Probably. If you’re into theme parks and film-related tours, and – since you’re taking a trip to LA, you probably are – the Go Los Angeles Card is a great buy. This is especially true if you plan to visit Universal Studios and spend another couple of days doing some sightseeing. The pass includes more expensive attractions than most other sightseeing passes, which means you have the opportunity to save a lot of money if you use it strategically. Additionally, I love that you can use the pass anytime during a two-week period. That’s far more flexibility than most unlimited passes offer, making it appealing to a wider range of travelers. Personally, I think the Go Los Angeles Card is a great way to save money in LA. I’d recommend checking it out. Thanks for reading and have a wonderful time in Los Angeles! Happy traveling! Save Money with the Go LA Card – Save up to 50% at 36 of LA’s best attractions with the Go Los Angeles Card. Get yours here!